The notable online retailer introduces new mountain bike, snow, climb, and lifestyle apparel. 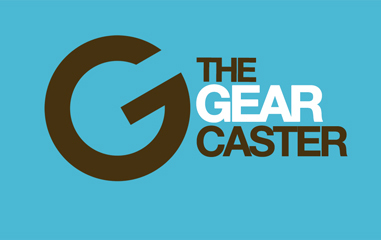 When a company has built its foundation on first-hand gear testing and retail expertise, you can bet that they can identify what’s good, what’s not, and make something that’s better than what’s already out there. And that’s exactly what Backcountry—the largest online retailer in the outdoor industry—has set its sights on accomplishing with their own brand line. The 2019 apparel collection covers the gamut of activities across all four seasons: mountain biking, climbing, and snow sports—as well as travel and casual lifestyle designs. 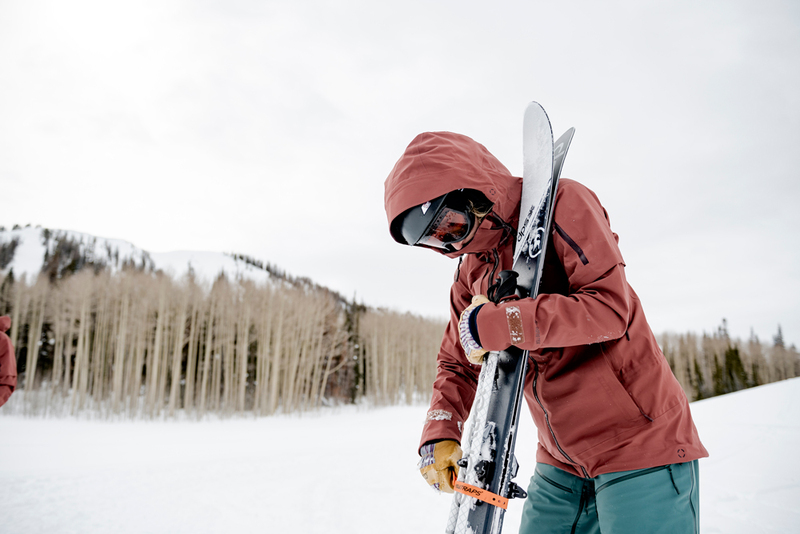 We joined Backcountry in their idyllic mountain town of a backyard in Park City, Utah, to check out and test out the four collections. From top-of-the-mountain technical snow bibs to drop arm tanks, here are our top picks—complete with thoughtful features and functional style—from each. The most notable pieces in the climb collection come in the form of hard goods. These offerings are the brainchildren of limited-edition collabs. The Backcountry x Black Diamond Stone Garden Crag Pack stands alone and allows easy access with a full-length J-shaped zipper ($109.95). The Backcountry x Metolius Party Pit Crash Pad ($148.95) features a redesigned closure that folds over the straps to protect them while bouldering, and a shoe-cleaning carpet on the edge of the pad allows you to politely wipe your shoes off and avoid soiling the sacred crash pad while at the crag. On the clothing side of things, the Coral Bells Tech Tank ($50) proved to be incredibly soft—with no itchy or shoulder-squeezing seams, anti-odor polygiene treatment, and a crew-cut neck and open-back cut that looks flattering with a touch of edge. The Mountain Bike Collection, which just dropped online, features considerate design elements added to the basics we all know and love: shorts and jerseys. Both the Armstrong Short Sleeve Jersey ($60) and the Arcylon Long Sleeve Jersey ($70) have perforated—aka super breathable, not just “breathable”—side panels, a dedicated sunglass-wiping fabric on the lower hem, and silicon dots that grip to your shorts for a stay-put fit while you sit. The Empire Bike Short ($100) features a women’s-specific gusseted crotch and laser-cut perforation for ventilation on the inner thighs (read, where you want it). Unfortunately, we have to wait until Fall ’19 for the Backcountry Winter Collection to drop. But when it does, expect to see it in its muted, mature colorways on your local hills next winter. The Stretch 3L Jacket has a features list as long as a CVS receipt. Pack-compatible pocket placements, fully taped seams, well-placed vents, insulated phone pocket, powder skirt, asymmetrical zip to avoid rubbing your chin/beard, 3-way adjustable helmet compatible hood, and a ski pass clip are just a few of the amenities (I think at this point we can call them that) which make this jacket worth the steep $550 price tag. The most exciting amenity we tested in the ski collection, however, was the Heavyweight Bibs ($460) ability to zip down the thigh and around the waist—allowing you to convert the bibs into pants, and (more importantly) unzip the bibs into a rear-flap that allows you to take a break without having to basically get naked when nature calls. 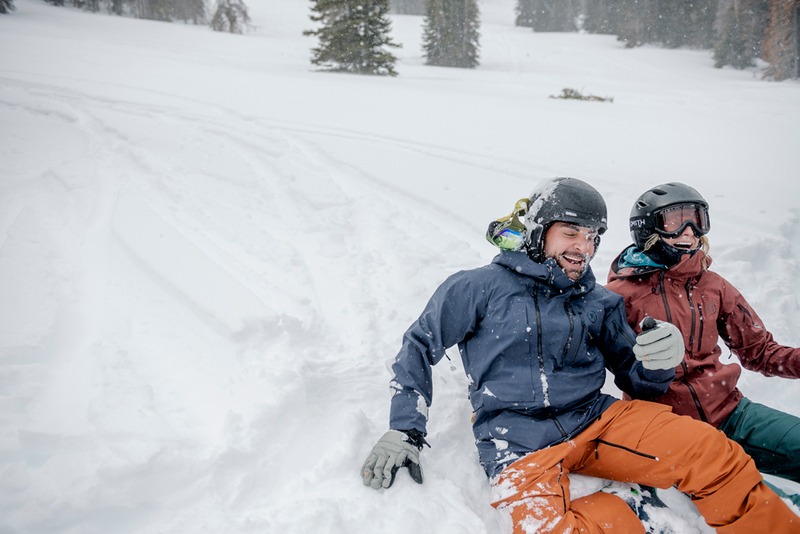 Because none of us are on a trail or a ski lift 100 percent of the time, Backcountry also added lifestyle designs to their 2019 offerings. The designs are sharp and flattering, but the comfortable fabrics are what will keep you reaching for options like the Dove Creek Active Tank ($30), with drop-arm sleeves and a drop-tail hem—which I’ve worn climbing, in the security line at LAX, and with my favorite pair of Levi’s overalls. On the techier side of the lifestyle apparel is the West Slabs Tech Fleece Jacket ($130)—which I’ve already put through the wringer on cold, wet spring runs and big backcountry touring days. The fleece is still soft after a few washes, the DWR still repels unwanted weather, and several deep pockets make this a utilitarian piece that just happens to look really good, too.